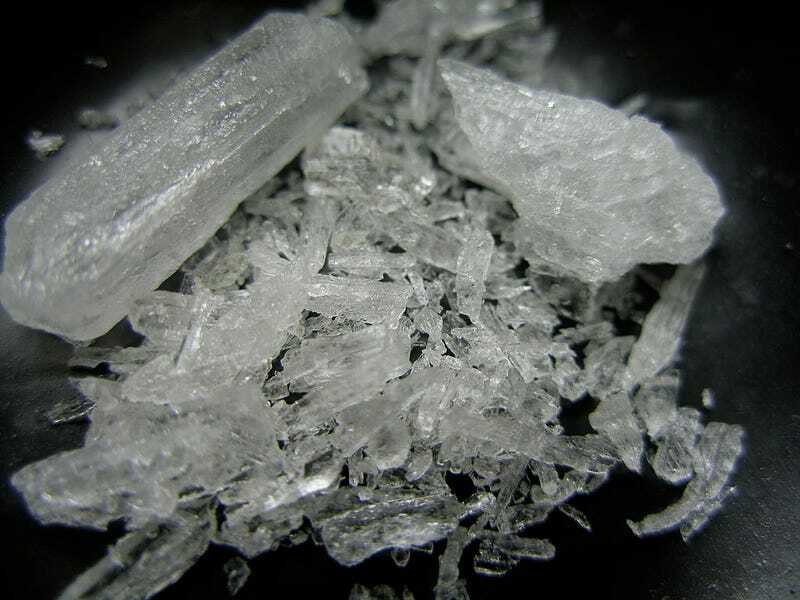 Did You Know Meth Has Its Origins In Traditional Eastern Medicine? Meth's pop cultural relevance, and its prevalent use, might lead you to believe that it is a relatively modern creation. But the notoriously addictive stimulant was first synthesized in the late 1800s, from a plant commonly used in traditional Chinese and Japanese medicines. A map of state-by-state meth incidents in 2012 — what can we take away? [Nagai] began, in his new role, applying the tools of chemistry that he had learned in Europe to the traditional Japanese and Chinese medicine his family had studied for years. One of those remedies was ma huang, a bushy, evergreen plant that grows in Central Asia and was used to treat simple complaints—colds, headaches, congestion. Nagai discovered, according to Sumitomo Dainippon Pharma, a drug company established in 1885, "some crystalline material recognizable to the naked eye coexisting in the blackish brown essence extracted from wild ma huang." He started studying its chemical structure and soon isolated the compound ephedrine. Nagai and his students kept tinkering with the ephedrine, and within the next decade, Nagai had used it to synthesize methamphetamine. In 1919, a student of his, Akira Ogata, figured out how to more simply manufacture the same compound in crystallized form. By the 1930s, its properties as a stimulant were well known. The Japanese chemists had not patented their work, though, and in World War II, armies on all sides of the war used methamphetamine to keep their soldiers alert.